The Silo unloader from Quality Parts Inc., The new Posi-Drive replaces the ratchet system by incorporating a high reduction gear box connected directly to the drive shaft that powers the center post gear box. A Vector Duty, variable speed three phase motor is connected to the input of the high reduction gearbox. • The Arm advance motor is operated independently of the Cutter-Conveyor motor. • A Digital readout displays in degrees the exact position of the Cutter Arm in the silo. • Forward or Reverse operation of the arm at the flip of a switch. • Variable speed Arm advance with torque control. • Adjustable On and Off timers for the Arm advance allow the operator to adjust the Arm feed for varying conditions to provide optimum performance. • Wiper Mode features a programmed Arm movement with three settings of forward and reverse travel. The reverse travel on settings No.1 and No.2 is one half of the forward travel programmed. The No.3 setting has forward and reverse travels of equal value for Arm operation while filling the silo. • An adjustable current sensor will drop out the Arm advance when the Cutter-Conveyor motor amperage exceeds a set value. The Arm will start to advance again when the motor amps return to a normal current set point. • Easy removal of the Arm advance components for servicing the Unloader. • Eliminates many of the maintenance costs associated with ratchet style Unloaders. 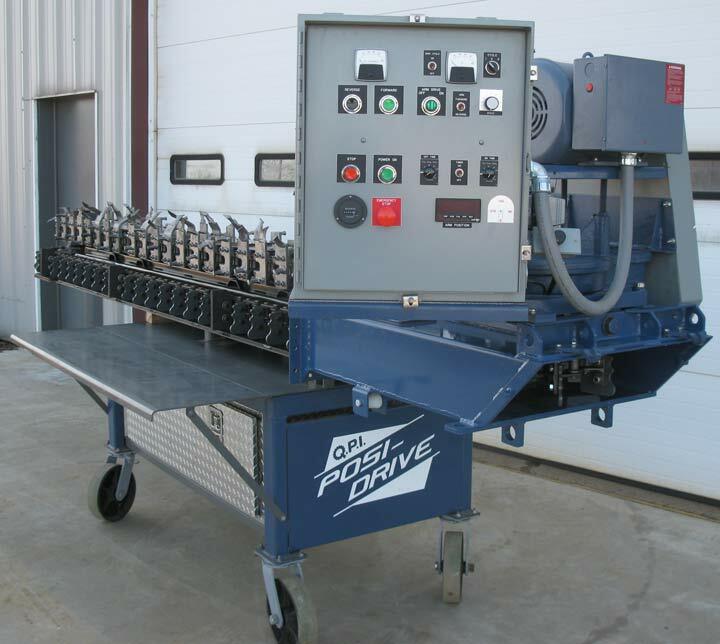 • Single phase and three phase Posi-Drive panels are available. Rolling Meadows Farm Tells why they recommend the new Posi-Drive!